The Minister of Labour gave introductory remarks on the four Labour Law Reform bills. The Labour Laws Amendment Bill was a Private Member's Bill introduced by Ms Cheryl Dudley. It proposed including parental leave benefits to adoptive parents, surrogate mothers and fathers. An error in the Unemployment Insurance Amendment Act on maternity benefits had also been corrected. The Minister explained that the amendments to the Labour Relations Act had emanated from discussions held at national level under the leadership of President Zuma to deal with disagreements between employers and employees in the workplace. One of the proposals was the National Peace Framework which had come about due to the incident at Marikana. The agreements were captured into the Code of Good Practice that had come out of discussions at the National Economic Development and Labour Council (NEDLAC). The National Minimum Wage was extremely important as inequality was still rife in South Africa. Social partners agreed to the amount stipulated for the National Minimum Wage. A Commission would be put in place to annually review the National Minimum Wage. The National Minimum Wage was not a living wage per se. Provision was made for exclusions from the National Minimum Wage. These included domestic and farm workers and the Expanded Public Works Programme (EPWP) were sectoral minimum wages would still apply. The intention was to implement the National Minimum Wage by 1 May 2018. Ms Cheryl Dudley (ACDP) explained her Private Member's Bill. The provision was to correct the two errors in the Unemployment Insurance Amendment. The first error that was in section 13(3)(a). Instead of a person getting one credit for every five days worked, a person would get one credit for every four days worked. The second error was in section 24(5) where “17 to 32 weeks” was replaced with “17.32 weeks”. The correction was required to align miscarriage benefits with maternity benefits. The proposed amendments obligated the Unemployment Insurance Fund (UIF) to pay paternal parental benefits, to pay benefits to surrogate mothers and to pay adoption benefits which the UIF was already doing. The paternal benefits provided for twelve days paternity leave. Leave was provided for surrogacy mothers in addition to UIF benefits. Surrogacy benefits would be paid similar to adoption benefits. The UIF had obtained an actuarial valuation on the affordability of the proposed benefits. The report indicated that the expenditure on these benefits was doable. Members asked if the most vulnerable sectors such as farm workers and domestic workers had been consulted about the Unemployment Insurance Amendment Act. The concern was whether contributions were made by employers to the UIF in order for farm workers and domestic workers to be covered. • The Basic Conditions of Employment Amendment Bill key amendments provided for enforcement by inspectors to include the National Minimum Wage Act and the Unemployment Insurance Acts. Any person may refer a dispute to the Commission for Conciliation, Mediation and Arbitration (CCMA) about the failure to pay any amount owing in terms of the Basic Conditions of Employment Act and the National Minimum Wage, an employment contract or a collective bargaining agreement. • The Labour Relations Amendment Bill had changes effected to clauses dealing with collective bargaining; picketing; minimum and maintenance services; secret ballot; extension; the advisory arbitration panel and the Registrar of Labour Relations. Members appreciated the Department's efforts on the National Minimum Wage. Members asked how companies that did not comply with legislation were monitored by DoL; how it dealt with labour hire by non government organisations; noted section 17 of the Constitution provided for picketing; referenced the Illegal Gathering Act; was the National Minimum Wage Commission provided with regulations to inform its operations and were they in place; had the appointment of Commissioners started yet; requested that the public be educated on the National Minimum Wage and in rural areas as well; did DoL have the necessary budget to educate the public; the criteria for exemption from the National Minimum Wage; if the disclosure on affordability would be included in the criteria or the regulations. Some members were not convinced about the amendment to the Labour Relations Act which gave the Commissioner an additional five days over and above the 30 day limit to conclude conciliation matters. Members were pleased about the changes to picketing but asked what if there was a dispute on the picketing rules; was the decision of the Commissioner reviewable; the modalities of picketing such as compliance with picketing rules was the challenge; trade unions often did not sign peace accords which meant that the accords were not enforceable; what the rationale for a second secret ballot was; companies could be crippled by industrial action so what protection was there for companies; good faith bargaining must be applicable to both workers and employers. Members asked why vulnerable groups such farm workers and domestic workers were not entitled to R20 per hour as other workers were; had there been a call to change the National Minimum Wage exclusion provisions; enforcement was a major challenge as capacity was lacking; had there been a call to change the dispute resolution mechanism as this had failed in the past; what had informed the staggered approach to domestic, farm and EPWP workers for the National Minimum Wage; what was the timeframe for conciliations before matters went to arbitration as justice delayed could become justice denied for workers. The DoL was asked if it had enough capacity; if the CCMA was given additional funding for its added workload from these Bills; would the CCMA have dedicated Commissioners to deal with Basic Conditions of Employment and the National Minimum Wage; could it provide the list of stakeholders it had consulted on the proposed bills. 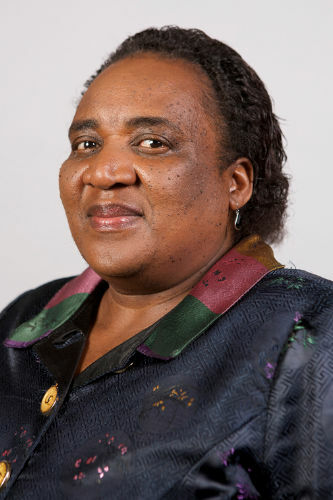 Minister Mildred Oliphant extended apologies for the absence of the Deputy Minister of Labour and the Director General of the Department of Labour (DoL) from the meeting. Deputy Minister Patekile Holomisa was attending a session of the African Regional Labour Administration Centre (ARLAC) and the Director General Mr Thobile Lamati was attending a G20 meeting in Argentina. She noted that the Unemployment Insurance Amendment Private Member’s Bill, now renamed the Labour Laws Amendment Bill would be introduced by Ms Cheryl Dudley (ACDP). The proposed amendments were to include all surrogate mothers and to extend parental benefits such as leave to fathers. Benefits for adoptive parents were also provided for. She added that errors in the Unemployment Insurance Amendment Act relating to maternity benefits were also corrected. The Department of Labour would brief the Committee on the other three labour bills: the National Minimum Wage Bill, Basic Conditions of Employment Amendment Bill and Labour Relations Amendment Bill. She explained that the amendments to the Labour Relations Act had emanated from discussions held at national level under the leadership of President Zuma. The issue was about disagreements between employers and employees in the workplace and various proposals were suggested. One of the proposals was the National Peace Framework which had come about due to the incident at Marikana. These types of agreements were captured into the Code of Good Practice that had come out of discussions at the National Economic Development and Labour Council (NEDLAC). The National Minimum Wage was extremely important as inequality was still rife in SA. There were wage gaps between workers who did the same work. Social partners at NEDLAC had agreed on the amount stipulated for the National Minimum Wage and how certain modalities should be implemented. A Commission would be put in place to annually review the National Minimum Wage on whether it should be increased. The National Minimum Wage was not a living wage per se. She said that collective bargaining needed to be strengthened. Provision was made for exclusions from the National Minimum Wage. These included domestic and farm workers. Even on the Expanded Public Works Programme (EPWP) sectoral minimum wages would still apply. The intention was to implement the National Minimum Wage by 1 May 2018. Ms Cheryllyn Dudley (ACDP) stated that the ACDP felt strongly that families should be strengthened. The idea was to invite fathers back to play the role that they should. Parental leave for fathers at present was limited. The intention was that there should be no discrimination. Fathers should be given the opportunity to make a decision for themselves on whether to take paternal leave. When on paternal leave the father would not get his full salary but would get something. The first proposed amendment was to the Unemployment Insurance Amendment Act. The Department of Labour (DoL) had realised that it had two errors which posed a challenge for implementation. The first error that was corrected was in relation to section 13(3)(a). The change was that instead of a person getting one credit for every five days worked a person would get one credit for every four days worked. The second error pertained to section 24(5) where “17 to 32 weeks” was replaced with “17.32 weeks”. The correction was required as the intention was to align miscarriage benefits to maternity benefits. The second proposed amendment was to the Labour Laws Amendment Bill. The proposed amendments obligated the Unemployment Insurance Fund (UIF) to pay paternal parental benefits, benefits to surrogate mothers and adoption benefits which the UIF was already doing. The paternal benefits provides for twelve days paternity leave. Leave was provided for surrogacy mothers in addition to UIF benefits. Surrogacy benefits would be paid similar to adoption benefits. The UIF had obtained an actuarial valuation on the affordability of all new benefits and those being proposed. The report indicated that the expenditure on the benefits was doable. 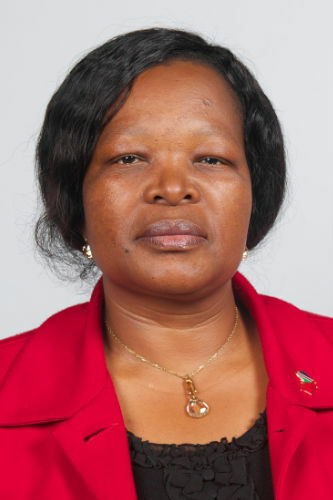 The Chairperson said that the Labour Laws Amendment Bill [B29-2015] would be emailed to members. Advertisements would be placed calling for inputs from stakeholders. Ms Dudley thanked the Committee for the opportunity to brief members on the Bill. Minister Oliphant pointed out that the Unemployment Insurance Amendment Act was signed into law by President Jacob Zuma in January 2017. She noted that the DoL had realised that the Amendment Act had two errors that had to be corrected. Once the Bill was finalised it would be signed by the President. She stated that the courts had given judgement that all workers had to get maternity benefits. From DoL’s point of view only those who made contributions to the Unemployment Insurance Fund (UIF) were entitled to qualify for benefits. Mr E Makue (ANC, Gauteng) asked if the most vulnerable sectors i.e. farm workers and domestic workers had been consulted. These sectors were the most unorganised sectors. Mr Mkalipi explained that all workers had the right to fair labour practices. The issue was about enforcement. The Unemployment Insurance Act stated that the employer had to pay 2% of the employee’s salary towards the UIF. The obligation lay with the employer. The employer must deduct 1% from the employee’s salary. He stated that it was common for employers to make deductions but not to pay the funds over to the UIF. Inspectors of the DoL were unable to visit each and every employer to check on whether contributions were made to the UIF. Farm workers and domestic workers were covered. The DOL delegation included Ms Bahumi Matebesi Acting Director General, Mr Thembikosi Mkalipi Chief Director: Labour Relations and Mr Teboho Thejane Chief Communications Officer. Mr Mkalipi undertook the briefing. The National Minimum Wage had emanated from the 2014 State of the Nation Address (SONA). He noted that all three Bills had been approved by cabinet on 1 November 2017. The National Minimum Wage would come into play on 1 May 2018. The National Minimum Wage was set at payment at R20 per hour. It would cover all sectors except farm workers, domestic workers and Expanded Public Works Programme (EPWP) workers. The rate for farm workers was 90% of R20 which was R18 per hour. For domestic workers it was 75% of R20 which was R15 per hour. EPWP workers would get paid R11 per hour which was 55% of R20. Learners and volunteers were also excluded from the National Minimum Wage. The National Minimum Wage also did not apply to the South African National Defence Force (SANDF), the National Intelligence Agency (NIA) and the South African Secret Service (SASS). There was no monthly National Minimum Wage. It was an hourly rate and did not include allowances such as transport, food and accommodation etc. Provision was made for the Minister of Labour in regulations to exclude other forms of payment. The National Minimum Wage would be annually reviewed by the National Minimum Wage Commission. Provision was made for employers to apply to be exempted from the National Minimum Wage for a period of up to one year. There were key amendments including enforcement provisions of the Basic Conditions of Employment Act which also applied to the National Minimum Wage Bill and penalties for non compliance. The amendments provided for enforcement by inspectors to include the National Minimum Wage Act and the Unemployment Insurance Acts. Other provisions were that an inspector may not issue a compliance order if the employee earned above the threshold of R205 433 per annum. A compliance order may be made into an arbitration award by the Commission for Conciliation Mediation and Arbitration (CCMA) if an employer had not complied with the order. Any person may refer a dispute to the CCMA concerning failure to pay any amount owing to that person in terms of the Basic Conditions of Employment Act and the National Minimum Wage, a contract of employment or a collective bargaining agreement. The extension of collective agreement concluded in bargaining councils would only require majority by either the trade union(s) or the employer party(ies).Representatives of parties were to be determined annually by the Registrar of Labour Relations and not every time a collective agreement was referred for extension. The Minister of Labour was given the power to renew and extend a funding agreement for up to 12 months at the request of any of the parties to a bargaining council. The amendment provided that one could not go on strike if there were no picketing rules. The CCMA would provide the rules. The Code of Good Practice on Industrial Action had to be taken into consideration. The amendments provided for the ratification of minimum service agreements by a panel appointed by the Essential Service Committee. There was also a definition of minimum services. A ballot means any system of voting by members that was recorded and was secret. Records of a ballot may include electronic records. Transitional provisions dealt with trade union constitutions being amended to make provision for ballots where necessary. Provision was made for the Commissioner to extend a conciliation process for a further five days beyond the 30 day limit. The Minister of Labour may approach the CCMA to set up an Advisory Arbitration Panel in the public interest if there was a violent strike. This provided that the Registrar of Labour Relations had to be impartial and independent. Minister Oliphant said that employees in vulnerable sectors had to be registered with the UIF. Although there were employees and employers registered with the UIF in vulnerable sectors there was still a long way to go on upping the registrations. There were over a million domestic workers in South Africa alone. On the Basic Conditions of Employment Act a worker was defined in terms of International Labour Organisation (ILO) resolutions. On exemptions to the National Minimum Wage, regulations would guide how applications had to be done. Each individual employer had to apply. Mr M Mhlanga (ANC, Mpumalanga) asked what informed the decision on an advisory board. Why was the arbitration award voluntary and not obligatory? He asked how companies which did not comply were monitored. The DoL was asked how it dealt with labour hire issues as it pertained to non government organisations. He pointed out that section 17 of the Constitution allowed picketing to take place. There was also the Illegal Gatherings Act which had to be taken into consideration. The DoL was also asked if the legislation was aligned to the Acts that he had mentioned. Mr Mkalipi explained that the law excluded voluntary workers. During the 2010 FIFA World Cup volunteers were paid a stipend. Even the South African Police Service (SAPS) used volunteers as police reservists. The exclusion also applied where a worker did not expect to be paid. Advisory arbitration was exactly what it stated. Legal advice obtained had advised against compulsory arbitration as it would infringe on the right to strike. The arbitration award was not compulsory. The DoL tried to ensure that a company would not be entitled to get a government tender if it did not comply with the National Minimum Wage. Even if there was non-compliance with Employment Equity, companies would not be allowed to tender. The Minister of Labour had to check on whether an employer had no case for not complying with the National Minimum Wage or Employment Activity. He said that the DoL did not have enough inspectors to check on each and every employer whether there was compliance with the National Minimum Wage. Both workers and other employers were encouraged to report transgressions by employers on not complying with the National Minimum Wage. He explained that the Employment Services Act dealt with the issue of labour hire and non government organisations. The issue was whether non government organisations were complying with the Employment Services Act. Such organisations had to be registered. He stated that the Constitution spoke about gathering and not about picketing. Every constitutional right could however be limited. The Labour Relations Act (LRA) could limit the right to gather. There was no contradiction between the Illegal Gatherings Act, picketing and gathering. Mr Makue said that the briefing had been good in a legislative context. On the National Minimum Wage there was talk about a Commission. He felt that there ought to be regulations that informed the operations of the Commission. Were there regulations that were drafted? If there were regulations when were they to be presented to the Committee? He asked if the process on the appointment of commissioners had started as yet. The DoL was asked if it was educating the public on understanding the legislation that was before the Committee. Did the DoL have the budget to do it? A brochure with information could be helpful. 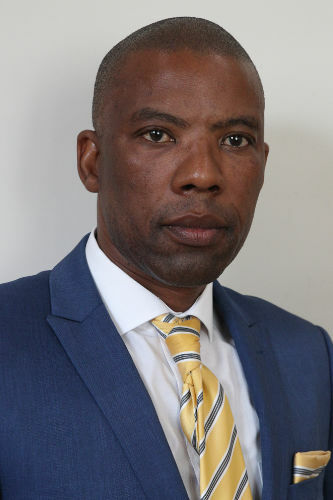 Mr Mkalipi replied on whether regulations were ready, explaining that two more meetings had to be held at the National Economic Development Labour Council (NEDLAC). There was nothing to prevent the Committee from asking the Minister of Labour to provide it with the regulations when ready. The regulations would be finalised by the end of March 2018 or the beginning of April 2018. The process of appointing Commissioners had already started. The appointments would be finalised by the end of March 2018. The National Minimum Wage Commissioners would start work on 1 May 2018. The education of workers was important and the process had already been started. Workers were educated in all provinces. Mr L Magwebu (DA, Eastern Cape) said that the National Minimum Wage Bill was both interesting and exciting. He appreciated the good work that the DoL was doing. He referred to the exemptions that were provided for in relation to the National Minimum Wage. What were the criteria to qualify for exemption? The implementation date for the National Minimum Wage was 1 May 2018. He expected people to come forward to apply to be exempted. There could be an elderly person who was employing a domestic worker and could not afford to pay the minimum wage amount. He was not to convinced about the amendment to the Labour Relations Act that allowed a Commissioner to get an extension of maximum five days over and above the 30 day limit to conclude conciliation matters. The period would then be 35 days. He felt that the 30 day limit was sufficient time for matters to be concluded. He was concerned about shifting goal posts when the supposed need arose. He commended the DoL on the provision that covered picketing. The DoL gave both parties the space for natural justice to take its course. Mr Mkalipi said that sectoral determinations of wages would still apply as employers could apply to be exempted from the National Minimum Wage. On criteria for exemption, he said that there was only one. Whether the company could afford to pay the National Minimum Wage or not? The regulations would deal with it. The Chairperson made the point that Members' questions were to be mainly those for clarity as it was only the Committee’s initial briefing on the amendment bills. It was not an opportunity for members to state their positions on specific provisions. The Committee would as the process unfolded still deliberate on the Bills. On the matter raised by Mr Magwebu about the extension to 35 days, the DoL was only to clarify what the rationale was for giving an extension of five days beyond the 30 day limit. Mr Mkalipi explained about the extension of the 30 day period, saying that conciliation was about parties reaching agreement in order to settle disputes. Say for instance parties were close to reaching a settlement but just needed an extra hour to iron out issues. At present it would not be allowed if the 30 day limit was reached. A certificate would have to be issued by the Commissioner no matter what. The extra five days was not a compulsory extension but it allowed the Commissioner the leeway to deal with the matter. The intention was to encourage settlement. 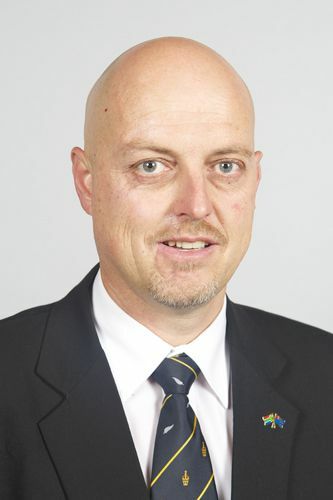 Mr W Faber (DA, North West) asked what the rationale was for having a second secret ballot. He was concerned that a company could be crippled by these types of industrial action. What protection was there for companies? Good faith bargaining must be for both workers and employers. Mr Mkalipi, on the secret ballot issue, explained that the first secret ballot was for when workers wished to strike. The constitution of a trade union must make provision for it. If the strike turned out to be violent then the Minister of Labour could call for advisory arbitration. The decision of the arbitrator would be published. After seven days the trade union would have to state whether they accept the award or not. The trade union would put it to a vote of its members and this was the second secret ballot. He explained that this was only if there was no agreement between parties to negotiations that there were default picketing rules. In most cases there was a picketing agreement that trade unions would have to submit to the CCMA. A Commissioner could not provide a certificate without giving picketing rules. The Chairperson asked what if there was a dispute on the picketing rules itself. Was the decision of the Commissioner reviewable? Mr Mkalipi responded that all decisions of Commissioners were reviewable. At present the CCMA was required to publish picketing rules. If parties did not agree then they should be given picketing rules. Certificates and picketing rules should be given together. Ms M Dikgale (ANC, Limpopo) said that her constituency was mainly rural and that lots of people were farm workers. She knew of instances where if farm workers at a tomato farm did not meet quotas then they did not get paid for that day. Why were farm workers not entitled to R20/hour minimum wage as other workers were. She asked how people who earned commissions, like those in funeral parlours, would be covered. Mr Mkalipi responded that it did not matter how a person got paid. The minimum amount was R20 per hour. For farm workers it was R18 per hour which was the rate for the next two years. A decision would be made after the two year period whether to increase it. For domestic workers the minimum wage rate was R15 per hour. Payment did not depend on whether the worker produced or not. Whether the worker was doing his/her job was a management issue that had to be dealt with. The reason sectoral determinations were kept for farm workers, domestics and EPWP workers was to prevent job losses. Mr B Nthebe (ANC, North West) said that the briefing was very explicit. He asked if there had not been a call for an overhaul of exclusion provisions. He noted that in many instances enforcement was responded to by employers via litigation. This put a strain on workers both financially and emotionally. He was aware that capacity was lacking on enforcement. What could be done? He asked the DoL if there was not a call for an overhaul of the dispute resolution mechanism. In the past the dispute resolution mechanism had failed. He asked what had informed the staggered approach to the National Minimum Wage for domestic, farm and Expanded Public Works Programme (EPWP) workers. He asked what the timeframe for conciliation was before it went for arbitration. The issue was to prevent justice delayed from becoming justice denied for workers. He asked if the DoL had enough capacity. On section 150 of the LRA he asked if the DoL made efforts to bring parties to the table. What was the DoL going to do different? He pointed out that picketing had always been a contested issue. Employers and employees do not always find a common ground. What would be different this time around? He noted that trade unions often did not sign peace accords. For that reason peace accords were not enforceable. 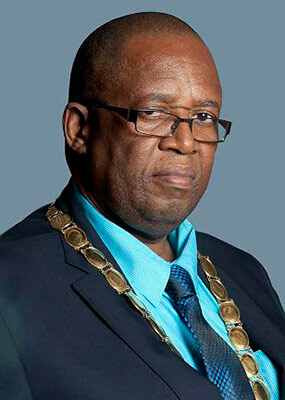 Mr Mkalipi, on the overhauling of dispute regulation in SA, stated that all labour legislation in SA spoke about negotiations being done in good faith. On the one side there were trade unions and on the other employer organisations. There were many trade unions registered in SA and they were fighting amongst themselves for membership. This affected the chances of settlements being reached more quickly. The DoL had steps to build trust in collective bargaining. The Chairperson, on the 30 days conciliation, asked when the period started. Why was it necessary for the application to go from the Commissioner to the Director? Would things not be delayed by doing so? He asked the DoL to clarify. He asked if exemption criteria would include disclosure of affordability or if it would be included in regulations. Mr Mkalipi explained that the entire 30 days was not for conciliation. The conciliation process could easily only have started on the 20th day for argument's sake. He explained that there was reasoning behind the decision that a Commissioner had to go to a Director for the extension beyond the 30 day period. If it was only up to the Commissioner the fear was that the option of an extension would become the norm and be abused. The Chairperson asked if the CCMA would be given additional funding for more Commissioners given the added workload due to the proposed legislation. Within the CCMA would there be specific Commissioners dedicated to the Basic Conditions of Employment Act and the National Minimum Wage. Mr Mkalipi replied that government departments were encouraged to use their existing funding smarter. Extra funding was limited. The CCMA however did get extra funding. The Committee could wait for the Budget Speech 2018 the following day to see whether there was additional funding allocated. On the capacity of inspectors, the inspector had to get an undertaking from an employer that he/she was going to correct things. It was a binding agreement. The inspector was required to write his compliance order in a proper manner. Ms Dikgale felt that the Committee needed to take its time on public hearings on the National Minimum Wage. The legislation should be taken to traditional areas as well. Mr Nthebe understood the balance that had to be maintained on job security and fair wages when it came to the National Minimum Wage. He said the issue was not about picketing or not, it was about the modalities of picketing. Compliance to picketing rules was the issue. What could be done? Mr Mkalipi replied that behaviour change was needed. The Code of Good Practice spoke to conduct of parties. Workers should be educated on what the Code said. The Chairperson asked the DoL to provide the Committee with the list of stakeholders that it had consulted for the proposed legislation. The Chairperson pointed out the possibility of the week of 19 March 2018 being constituency week. Members had nothing new to add about the Committee’s upcoming study tour to Norway 4-16 April 2018.